I know I just posted this last week...but what a pic! ﻿I could eat them for every meal and some days do so when I saw Carmen's blog post over on NYPL.org I got hungry. When she opens with this paragraph it is hard not too. Blue Points, Saddle Rocks, Rockaways, Lynnhavens, Cape Cods, Buzzard Bays, Cotuits, Shrewsburys -- raw on the half shell. 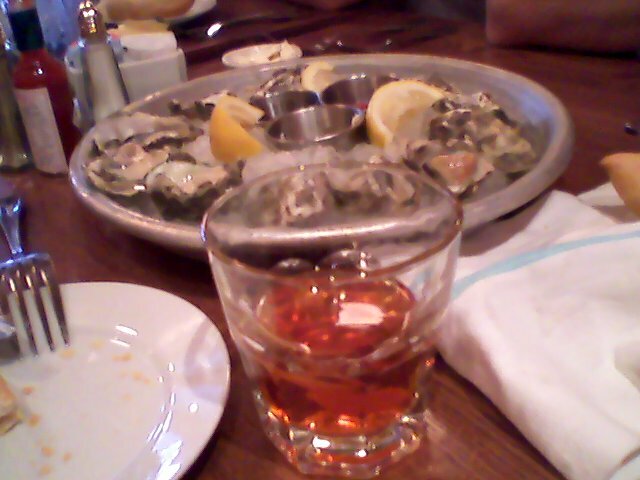 Fried oysters, oyster pie, oyster patties, oyster box stew, Oysters Pompadour, Oysters Algonquin, Oysters a la Netherland, a la Newberg, a la Poulette, oysters roasted on toast, broiled in shell, served with cocktail sauce, stewed in milk or cream, fried with bacon, escalloped, fricasseed, and pickled. 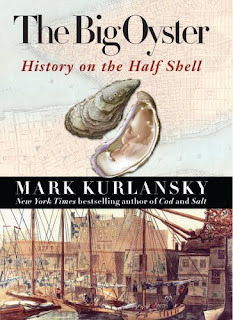 Fantastic, my mouth is watering...Then I remembered this was a NYC library blog so I knew it wouldn't be long before she mentioned the excellent Mark Kurlansky book The Big Oyster: History On The Half Shell which is a fascinating look at the oysters history with a specific focus on NYC. I won't say much more...except I could really go for a couple of dozen of Phantom Creek's right about now...anyway go read Carmen's excellent blog post, play around in the menu world of NYPL and enjoy your weekend.